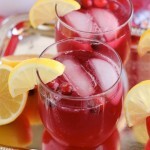 Cranberry Orange Mocktail - Dessert Now, Dinner Later! 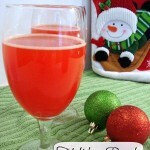 This non-alcoholic Cranberry Orange Mocktail is an easy and refreshing fruit punch drink for the holidays. 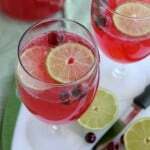 It’s fizzy, fruity, and only 3 ingredients! For our family, the holidays are all about creating and trying new recipes. 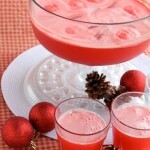 We especially love coming up with new drinks for Christmas or New Year’s Eve. We are big fans of tasty mocktails, thanks to the surplus of soda shops where we live, but it’s fun to come up with our own creations too. 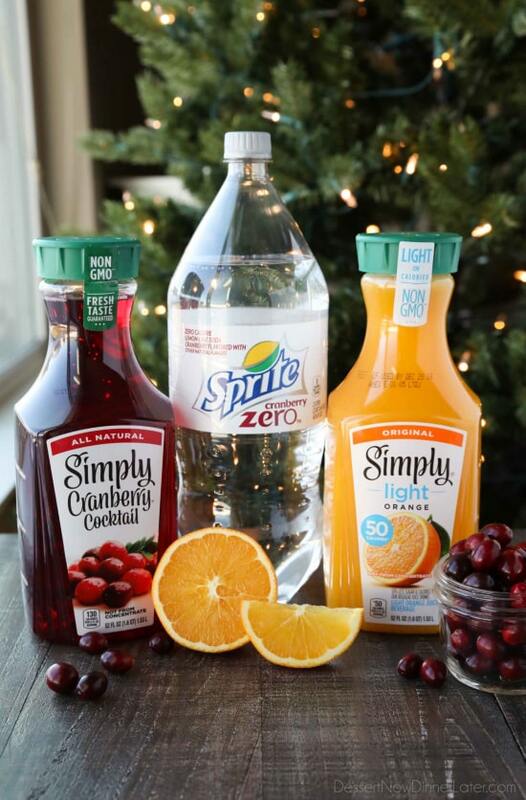 For this holiday drink I grabbed Simply® Cranberry Cocktail and Simply® Orange from the refrigerated juice section at Smith’s (my favorite Kroger store), and headed to the bottled soda aisle for some Sprite® Cranberry Zero. 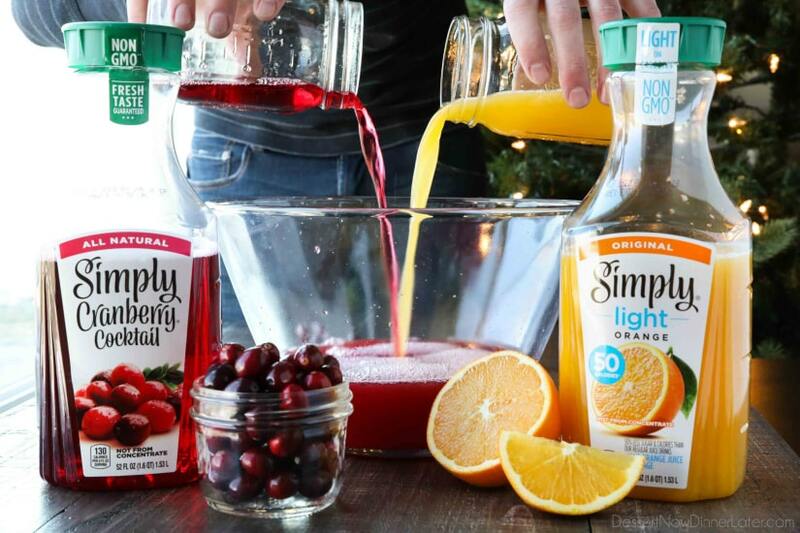 Cranberry-orange is such a classic holiday flavor combination and Simply® juices are our favorite because they taste pure and fruitful. 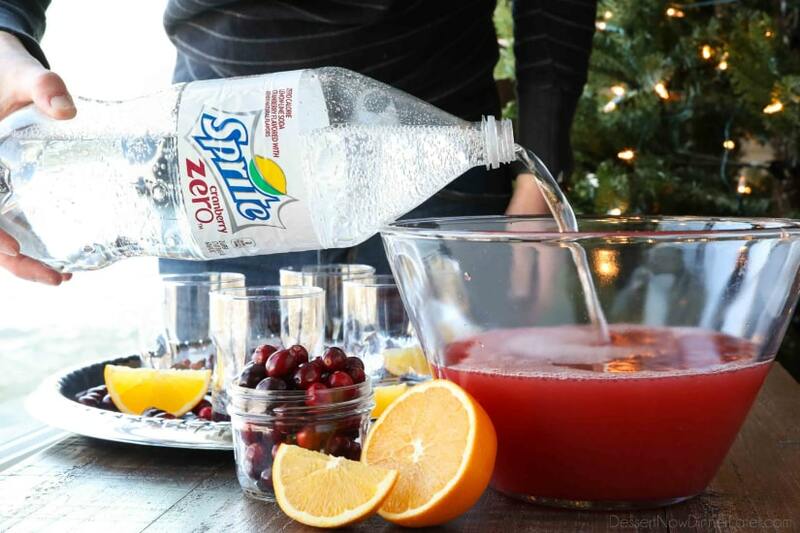 Sprite® Cranberry was an obvious pairing to add a little extra tang and fizz to this fruity drink. Since it’s a holiday flavor, we definitely stock up while it’s available. 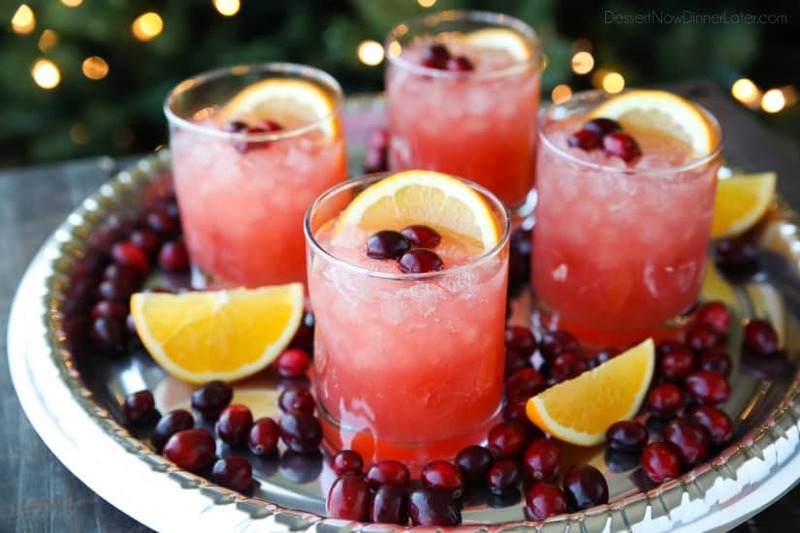 This cranberry orange mocktail is so light, crisp, and refreshing. It hits the spot without being too sweet, which makes it a great accompaniment for brunch or Christmas dinner. It’s like a non-alcoholic mimosa. 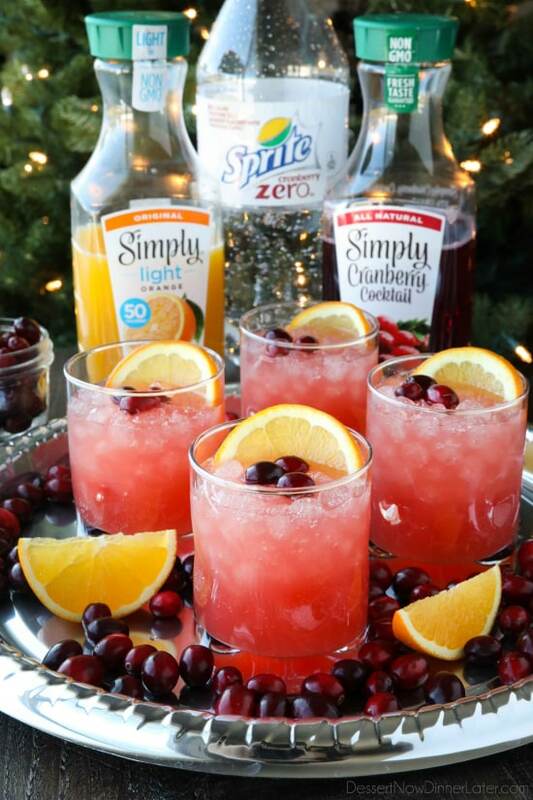 The ratios for this cranberry orange mocktail are about 1:1:1. 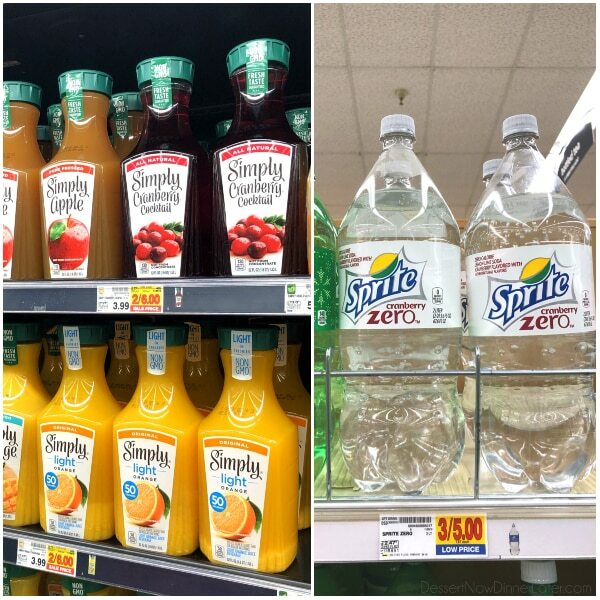 One part cranberry juice, one part orange juice, and one part soda. Mix the (chilled) juices together first, then pour in the cold soda. We love our drinks with pebble ice and recommend it, if it’s available to you. Every year we try and come up with a holiday bucket list, along with our new recipes to try. The goal is to finish it all by the end of December. Coca-Cola and Kroger have all sorts of holiday inspiration in an advent calendar with great ideas for parties, gifts, and more. I can’t wait to use some of these ideas for our family bucket list. New ideas will be posted every day in December, so keep checking back. I know I will be! 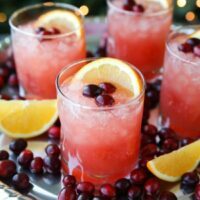 In the meantime sip on this 3-ingredient cranberry orange mocktail while you put up the Christmas tree or have a holiday movie marathon. It will definitely make your activity merry and bright! 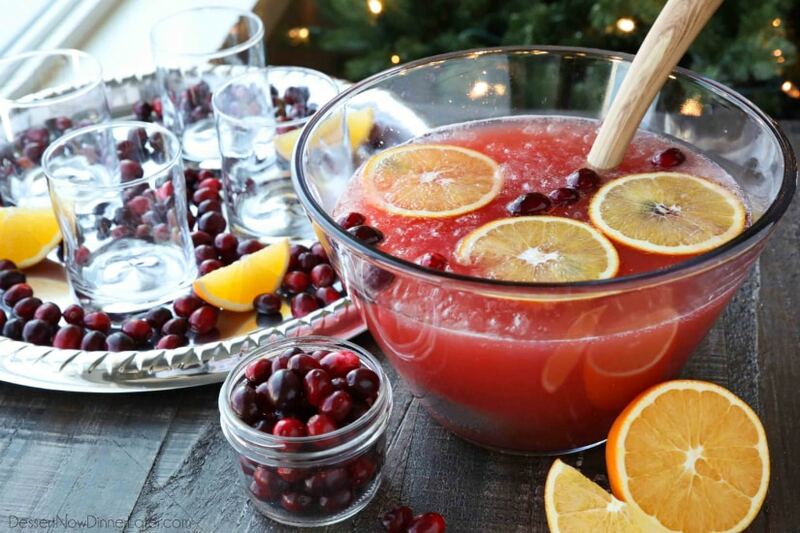 In a large punch bowl, add the cranberry and orange juices. Slowly pour in the cold soda. Stir gently, if needed. Serve immediately in cups over ice. 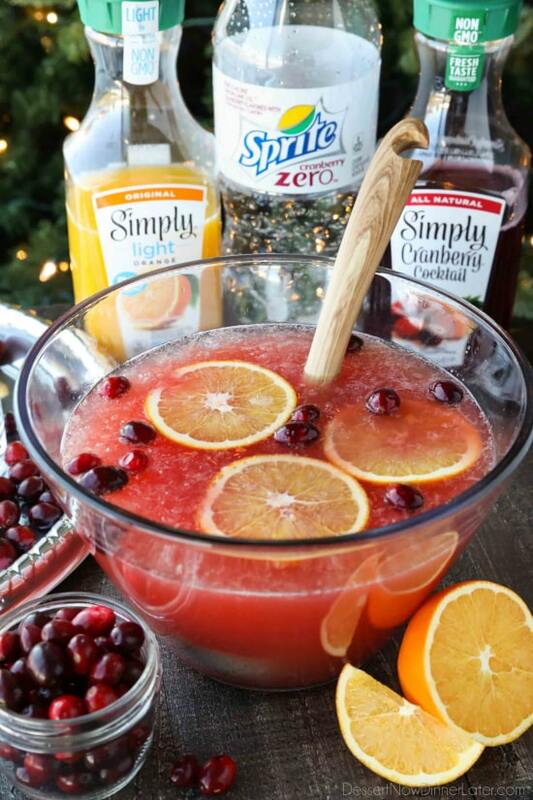 Garnish with cranberries and orange slices, if desired.